While Madeleine L'Engle is not a theologian, she was a deeply spiritual woman whose writing reflected her deeply held faith. A Light So Lovely, explores L'Engle's spiritual legacy--one that largely began with her children's book, A Wrinkle in Time. The author does not gloss over L'Engle's imperfections. While book characters were loosely based on family members, L'Engle was at her heart a fiction writer. One of my favorite lines in the book is when her children were asked about family events that L'Engle had written about and their response was, "Our mother is a fiction writer." So yes, L'Engle perhaps misremembered things or perhaps chose to put a different slant on certain events. 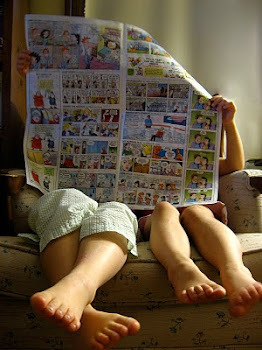 Those tendencies do not take away from the works that children adore, or even her non-fiction books that have been an inspiration to many adults. I have not read L'Engle's non-fiction works, nor have I previously read a biography about her. I found Arthur's work to be a very balanced glimpse at the remarkable life of a writer. My take away from the book is that L'Engle loved the Lord and very freely wove Biblical themes into her children's fiction--that is a praiseworthy feat. Her books are not meant to be read as doctrine so I feel much of the theological criticisms of her work are uncalled for. She took up a baton in literature that began with C.S. Lewis and J.R.R. Tolkien--making the world of good and evil and supernatural wonder come alive for young people. L'Engle holds a place of importance within the field of children's literature. 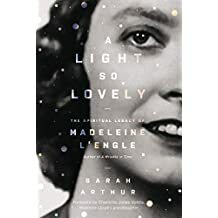 A Light So Lovely gives readers a glimpse of that "light" that radiated from a faith that sustained her through grief, disappointment and widowhood. May each of our lives, despite our imperfections, shine "a light so lovely," that it points others to Christ. Disclaimer: I received a free copy of A Light So Lovely from Handlebar Publishing for the purpose of review. No other compensation was received.